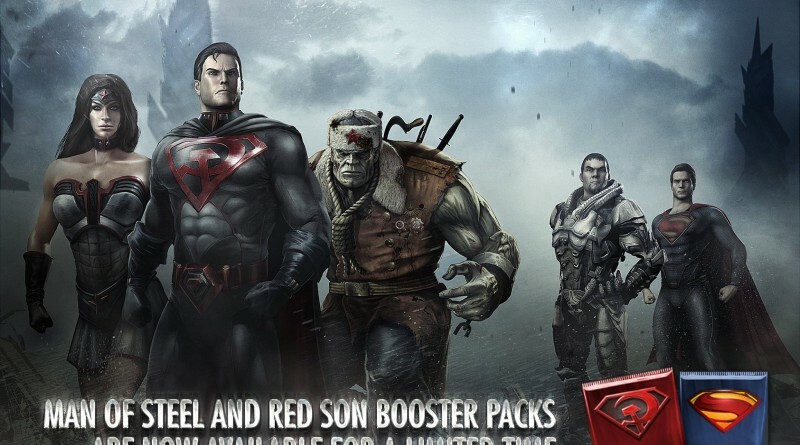 Do you miss the characters from the Red Son and/ or the Man of Steel booster Packs in you Injustice Mobile characters collection? Now is your chance to obtain them. The two packs are available for a limited time in the Injustice: Gods Among Us Mobile Store. 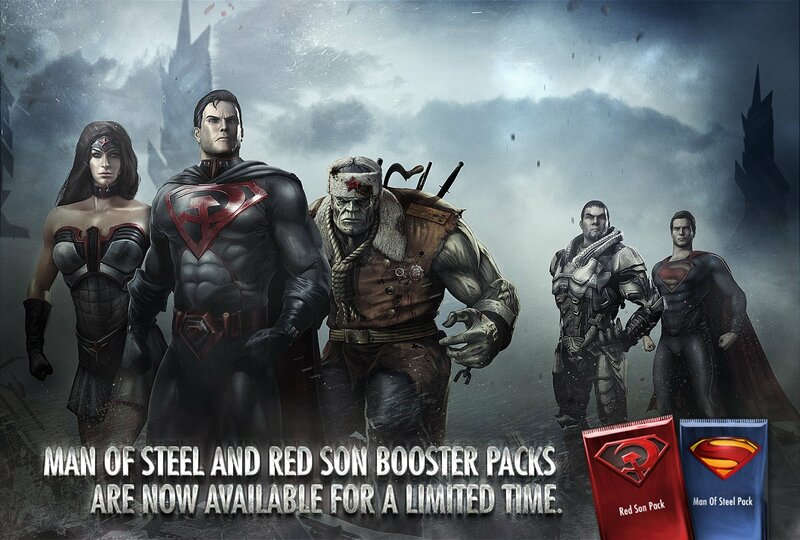 The Red Son Booster Pack includes: Red Son Superman, Red Son Wonder Woman and Red Son Solomon Grundy. The Man of Steel Booster Pack includes: Man of Steel Superman and Man of Steel General Zod.